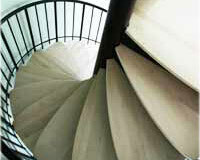 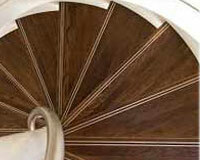 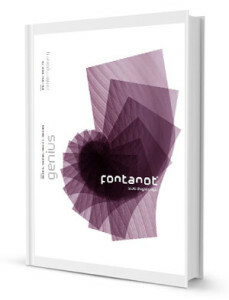 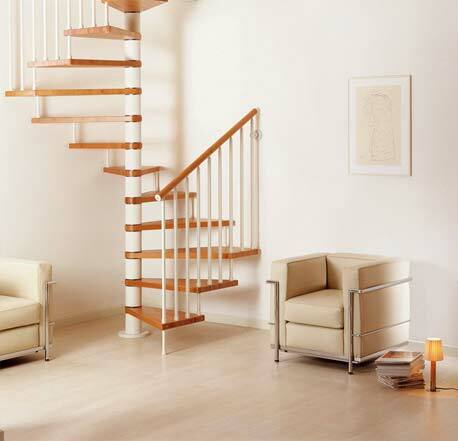 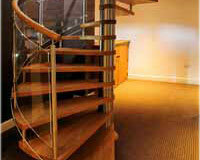 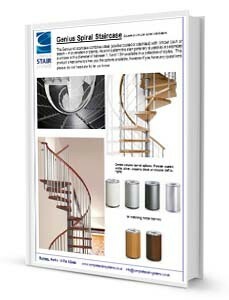 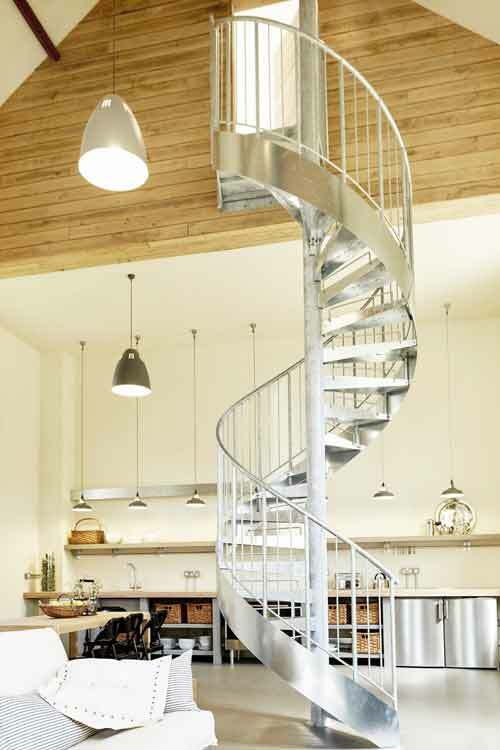 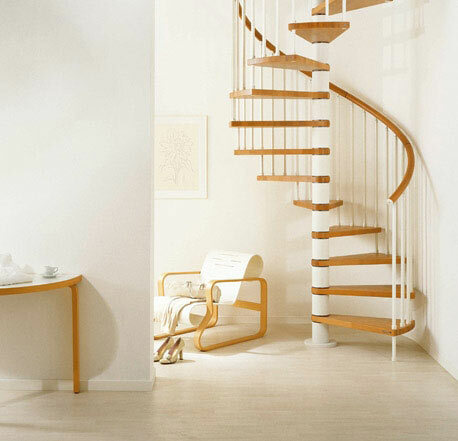 The Genius 020 Spiral Staircase is what we refer to as a ‘made to measure’ kit spiral staircase. 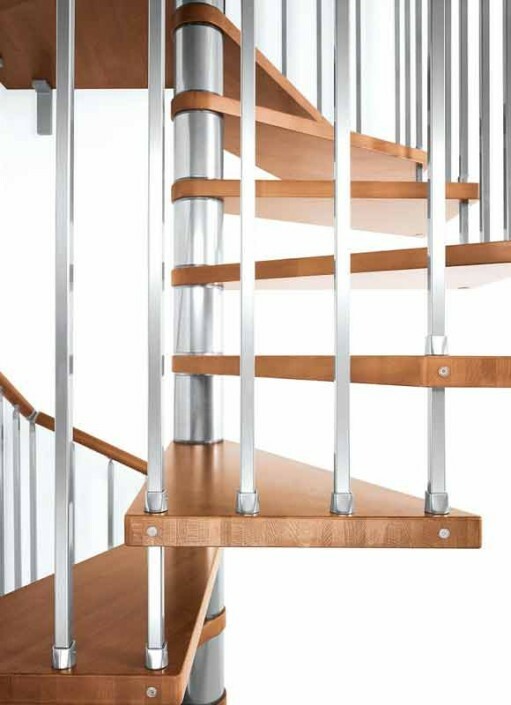 It’s structure is very like the off the shelf kit systems but the Genius allows one to choose between beech or ash treads with an array of stain options. 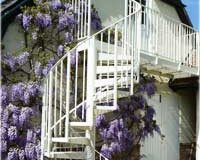 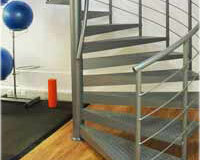 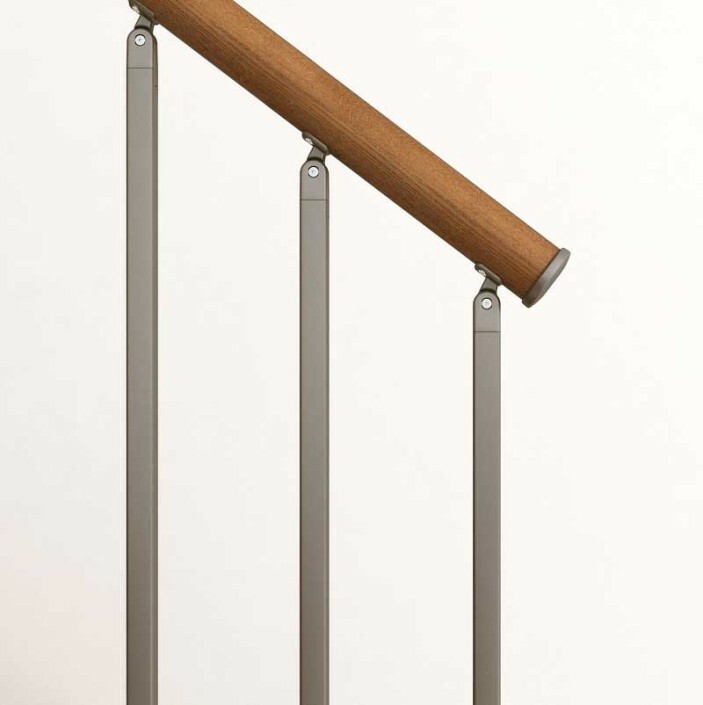 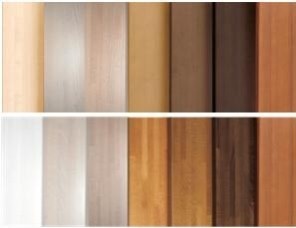 The handrail is supplied in matching wood and there are seven types of balustrade infill available. 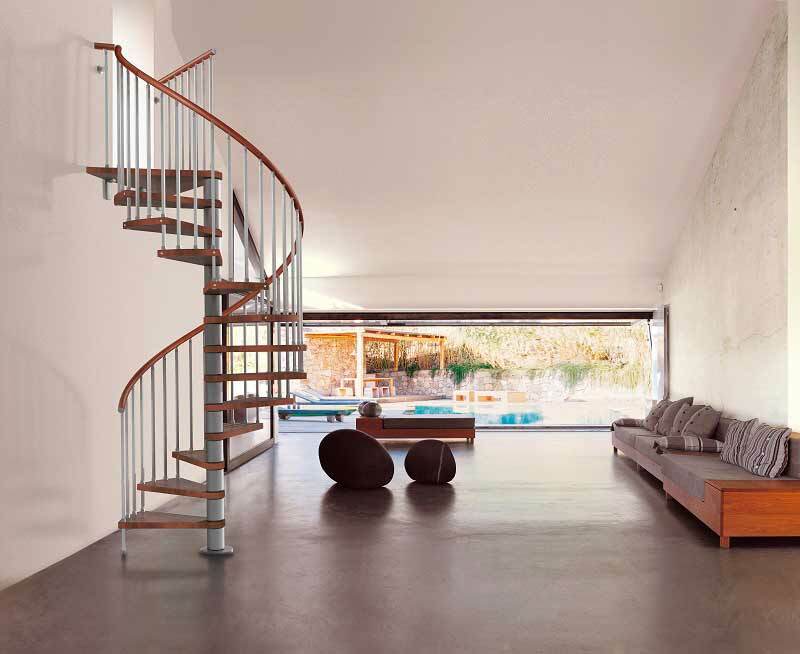 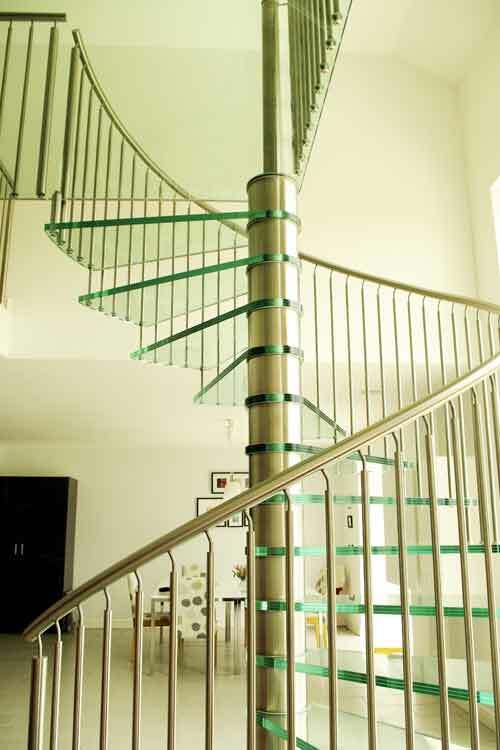 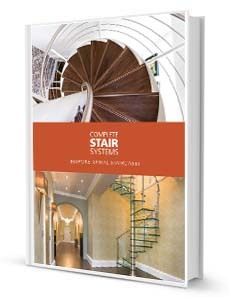 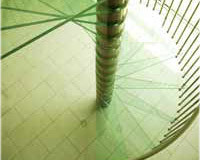 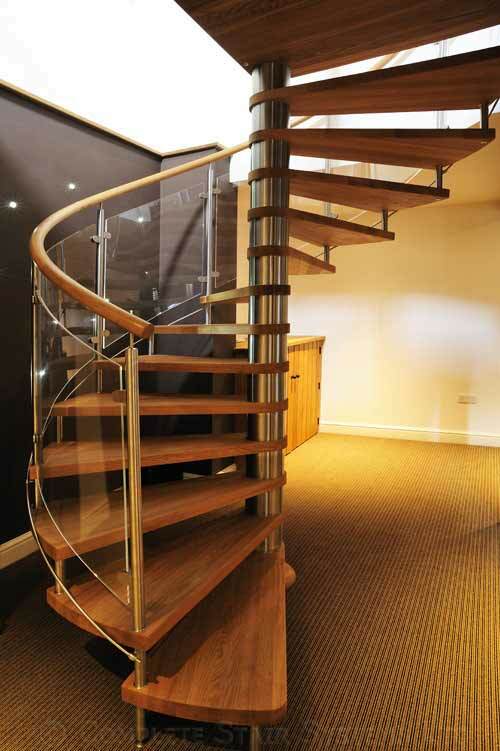 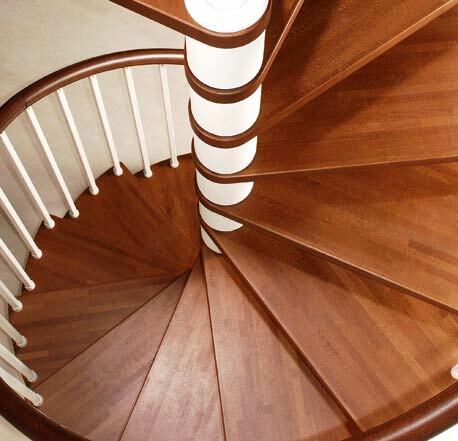 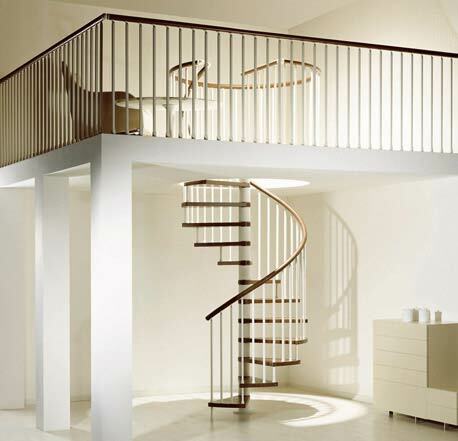 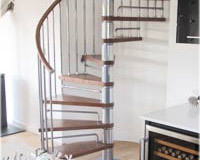 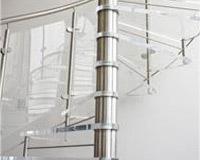 Each Genius spiral staircase supplied is drawn specifically for the project so that it has the correct entry and exit point for the property and the appropriate number of treads for the floor to floor height. 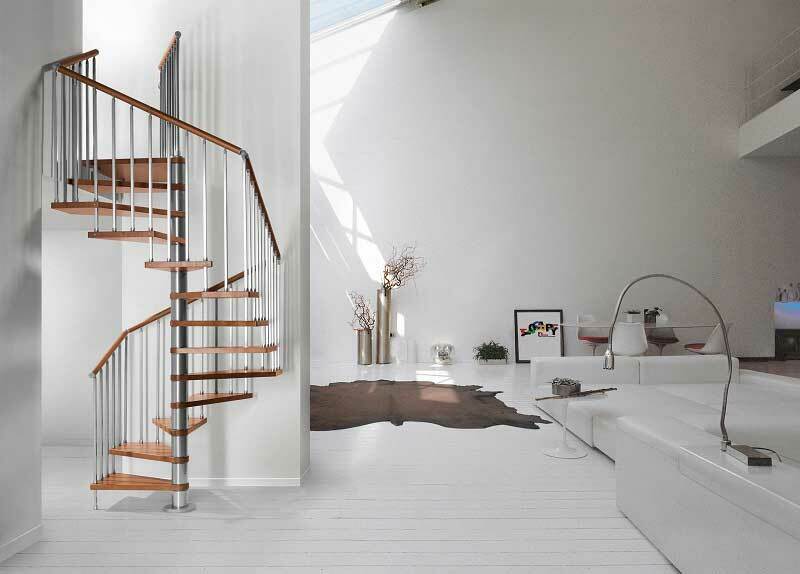 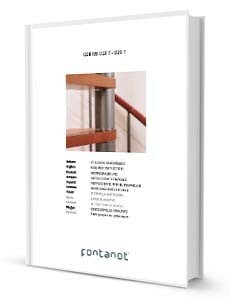 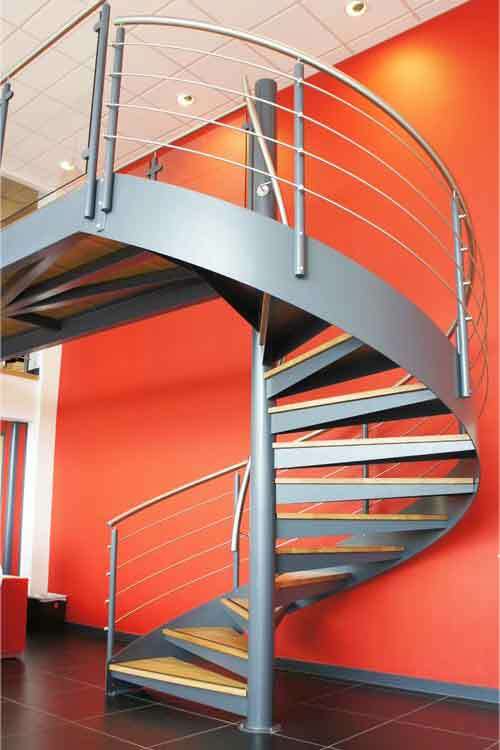 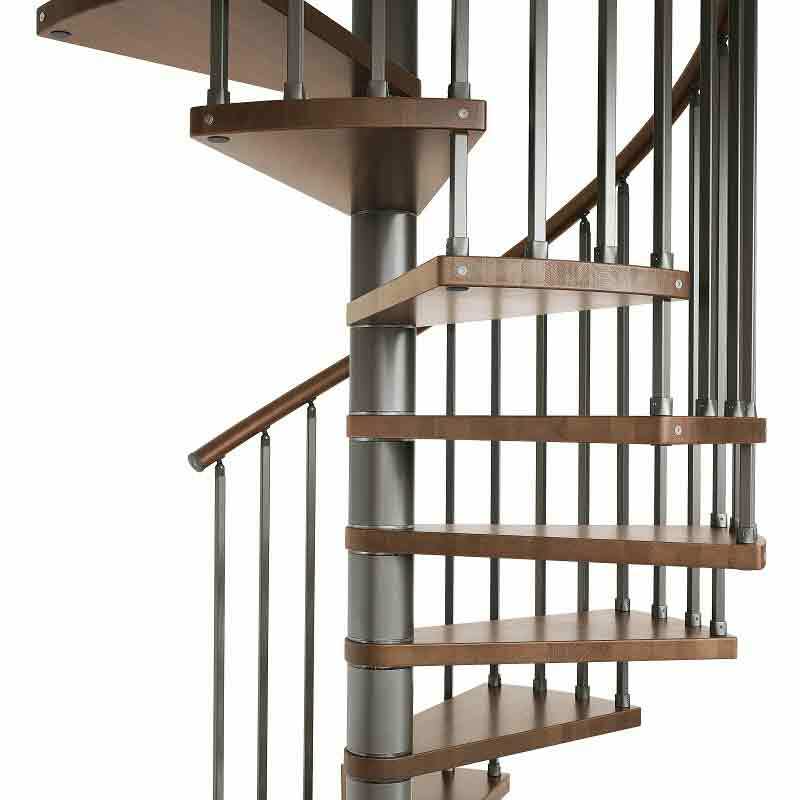 The Genius 020 Spiral Staircase balustrade infill design has 20mm x 20mm square vertical spindles which are powder coated.